"I found my study of history of great practical value," Bryher writes in The Heart to Artemis. "It helped me to assess the future and to be aware of change." Awareness of change runs through the veins of Bryher's body of work, and Paris Press deserves much praise for bringing some of that work back into print. 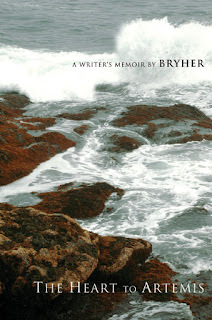 With the majority of her work now out of print, Bryher has been known, if she has been known at all, primarily for her long relationship with the poet H.D. and for her support of many of the major figures of the Modernist movement, but she was a fascinating writer herself, and one deeply deserving continued notice. The most vivid sections of The Heart to Artemis occur in the first half, as Bryher chronicles the experiences of her childhood and reflects on the changes in the world since the late Victorian era. She was not entirely free from the imposition of socially acceptable ideas, but her experiences in different societies and cultures allowed few such ideas to sink unquestioned into her mind, and so when she began reading contemporary poetry in the early years of the twentieth century, she was particularly well prepared for the excitement of its innovations. Surprisingly, the least memorable scenes in The Heart to Artemis involve the many well-known writers and artists Bryher knew in her adulthood. After the extraordinary chapters about her childhood, in which every detail is fresh and suggestive, the quicker pace and more fragmentary nature of the later scenes is a bit of a disappointment. 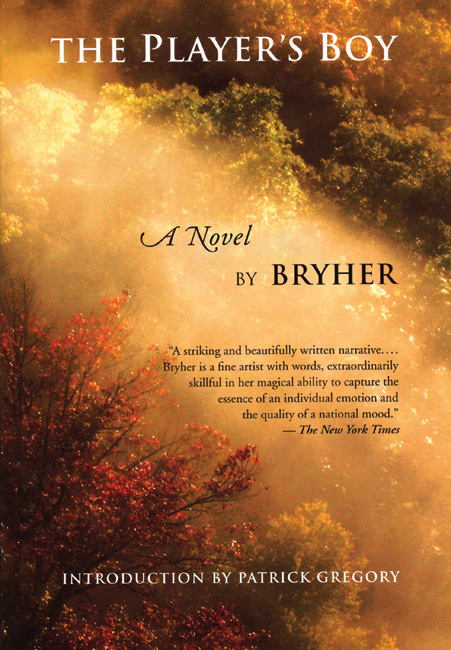 Though Bryher's eye in the later scenes remains sharp, she staunchly avoids writing about the intimate details of the lives of the people she knew, which makes many of the passages feel thin. The final chapters, though, regain the richness of the first chapters, because Bryher early on recognized the dangers posed by the Nazis in Germany and the Fascists in Italy, and she became a brave and tireless activist for refugees. She writes gracefully about her activities, conveying a sense of both moral duty and adventure, and her compassion for the people she helped is clear in the care with which she chronicles their experiences. She ends the book with the beginning of World War Two, and the last paragraphs brilliantly and devastatingly evoke the anxiety and terror of that time. History was Bryher's favorite subject, and most of her novels are set in the past. The Player's Boy is an odd and unsettling book about England from 1605 to 1626, the story of an apprentice to the theatre named James Sands—a boy whose masters die before they can ever train him properly, a man whose uncertainty in life reflects the uncertainties of his era. Each of the five chapters of The Player's Boy tells a mostly self-contained story of one particular time in James Sands's life, often through the stories characters relate to each other. The language is lightly Elizabethan (the Elizabethan dramatists being particular favorites of Bryher), but not in a stilted way; through careful attention to diction and to particular details of scenery, Bryher efficiently evokes the setting and circumstances of the novel, creating in a little more than two hundred pages what a less subtle and skilled writer could not do at twice the length. Because of this efficiency, The Player's Boy does not benefit from hasty reading; it requires the reader to slow down and let each sentence live. Reading the two books together is a particularly rewarding experience, because The Heart to Artemis expands upon many of the ideas and emotions The Player's Boy suggests —most effectively, the experience of living in a time of transition. James Sands never comes to terms with the shifts in his society, he never finds a foundation for himself, and he ends up dissatisfied with life and the world. Bryher escaped this fate herself, perhaps because of her awareness of the forces of history. While she is careful to show how much she loved and needed the innovative art and artists of her time, she is also remarkably clear-eyed about the delusions artists can hold about themselves: "'It's got to be new,' we chanted because old forms were saturated with the war memories that both former soldiers and civilians wanted to forget. We were too savage, too contemptuous, but would you have had us be prudent? We did not realise at the time that it was not the concepts themselves that were at fault but the way that they had been used." Such a willingness to accept the new, while also demanding honesty in its use, distinguishes all of Bryher's work, and the truth of her commitments reveals itself in the remarkably contemporary feel of her writing.